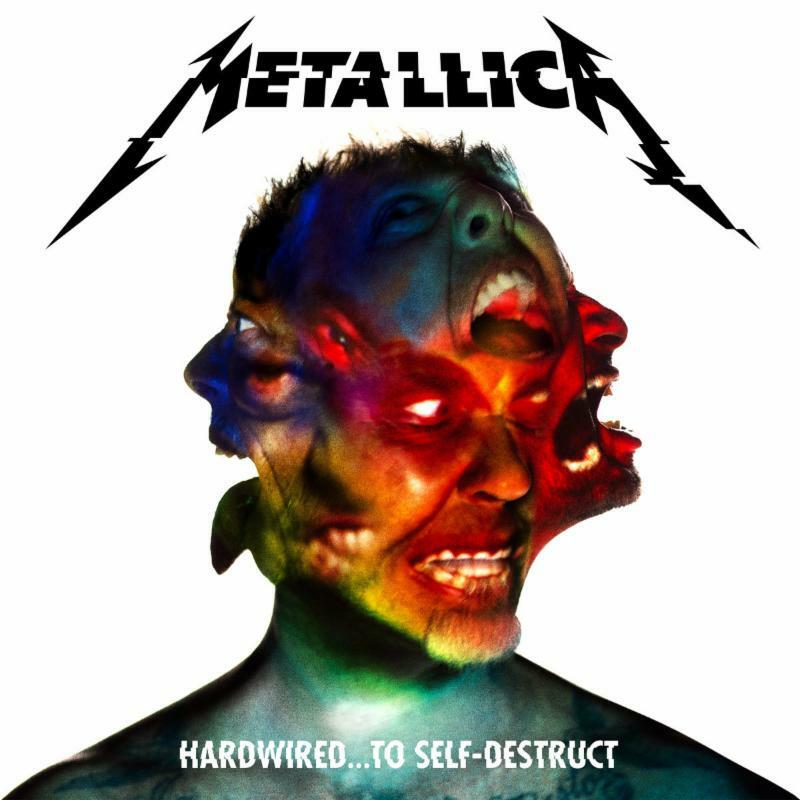 Rock and Roll Hall of Fame inductees and Grammy® Award winning band Metallica's 10th studio album "Hardwired...To Self-Destruct" is available in stores and at all digital retailers via the band's own Blackened Recordings in various configurations including: CD, Vinyl, Digital, Deluxe and Deluxe Deluxe Versions available at metallica.com. "Hardwired...To Self-Destruct," a 2 CD / 2 Vinyl set, is the first studio album since 2008's multi-platinum "Death Magnetic." Greg Fidelman, who engineered and mixed Death Magnetic, produced the album with the band's James Hetfield and Lars Ulrich. Praise for "Hardwired...To Self-Destruct" includes The New York Times: "Metallica has embraced its adulthood, reclaiming the attack of its music while jettisoning the image of a hard-rock band as young, fast and out of control", Rolling Stone: "Metallica's 'Hardwired' shreds back to vintage eighties terror", LA Times: "Metallica keeps evolving", Decibel: "Metallica balances legacy, longevity, and longitude with Hardwired...To Self-Destruct", Kerrang! : "This is Metallica galvanized, refreshed, refocused and rediscovering themselves. Best thing they've done since The Black album? Yep", The Guardian: "Metallica have just made their finest record in 25 years," NME: "Metallica remain both vital and innovative", and much more. To celebrate the release of "Hardwired...To Self-Destruct," Metallica performed live at the very intimate House of Vans in London for Fifth Members and lucky winners. The band performed at 9:00 p.m. GMT and fans can take part in the festivities by visiting metallica.com or YouTube to stream the performance live. The show will be available on demand in its entirety for one week following the show. In an unprecedented move for Metallica, this past Wednesday the band released music videos for each song on the new album via metallica.com and simultaneously with editorial partners around the world for every two hours. New songs and their corresponding videos premiered right up to when the clock turned over at midnight in New Zealand, where the first official copy of the new album became available worldwide. Directors for the videos included: Jonas Åkerlund, who originally worked with the band on "Turn The Page" and "Whiskey In The Jar," album package photographers Herring and Herring, Colin Hakes ("Hardwired"), Clark Eddy ("Atlas Rise," and countless "Making of . . ." clips), Tom Kirk ("Moth Into Flame"), Claire Marie Vogel, Jessica Cope, Rob Valley, Phil Mucci, and Metallica's very own videographer Brett Murray. To watch the music videos, visit metallica.com. Almost 100 independent record stores around the world opened stayed open throughout the night and into the morning selling "Hardwired...To Self-Destruct" LPs and CDs as part of Blackened Friday. Stores are stocked with music, prizes, and exclusive items to be given away free with purchase. For a complete list of participating stores, click HERE. All items are available while supplies last. Metallica recently joined Jimmy Fallon and The Roots for a rendition of the band's song "Enter Sandman" as part of the popular segment 'Classroom Instruments' on the Tonight Show Starring Jimmy Fallon on NBC.